"A few moments to learn, a lifetime to master"
These days the "Game of GO" became more than a "Game, Sport or Art" and ... the reason why the GO community is crazy over, is because Chinese President Hu Jintao visited White House. Well, last year, The US president Barack Obama brought as a present when he visited China to the Chinese President Hu Jintao an Go board made by Frank Salantrie, glass bowls and Go stones (donated by Feng Yun 9P) . These days, when President Hu returns the visit, The President Obama included as welcoming people few members of the American Go Association. Media channels detailed the agenda of the visit of China's President Hu Jintao in US and enlightened the importance of this game for both nations, used as a symbol of the mutual respect between them. Game of GO is a fascinating board game invented in China about four thousand years ago (that's right 4,000 years ago! ), where it is known as "Wei Qi" or "Wei Chi". 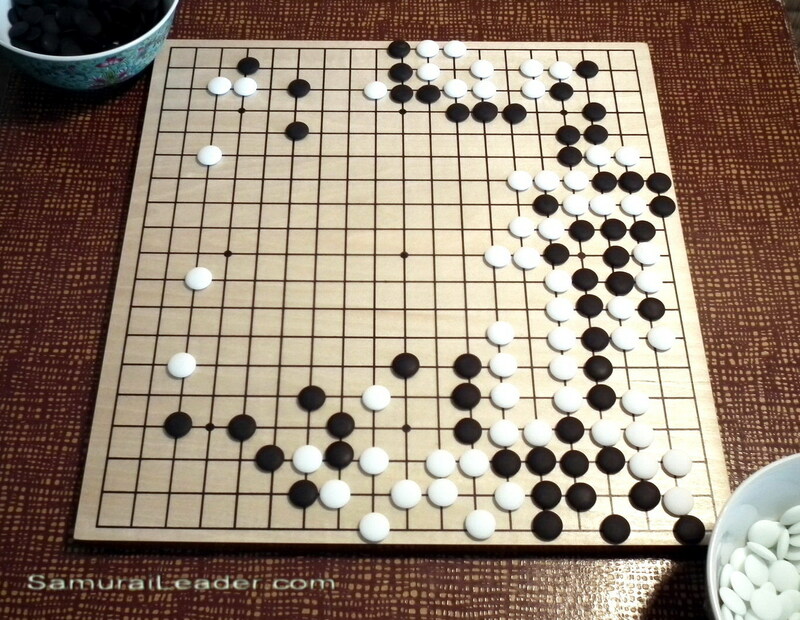 Later was introduced to Japan and it became a game of samurai, being known as "GO", "Igo" or "Ranka". The most recent was imported to Korea, where Go is called "Baduk". In the 20th century Go became more and more popular outside of Asia as well, being a very popular international game nowadays. 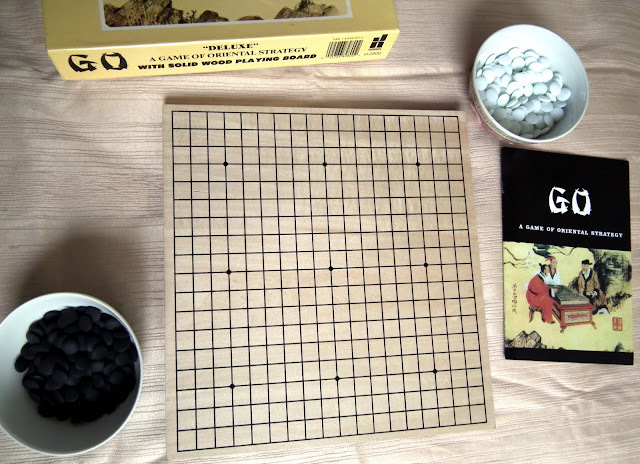 The Game of GO is the oldest board game still played today in its original form. It is a game of strategy with very simple and intuitive rules, older than Chess, teaching about how to be patient and respectful, to concentrate, to be organized and competitive while learn how to develop and share profit. It is known as the "king of the games" and millions of people all over the world play this game regularly. Go it is played by 2 opponents, usually on a 19x19 grid rectangular board (playing on smaller boards 9x9 and 13x13 is also possible). The playing pieces, called stones, are played on the intersections of the lines. The two opponents play alternatively, one move (placing a stone in a vacant point / an empty intersection) each time. There are 181 black stones and 180 white stones. Black plays first move. The stones remain in their positions once placed on the board, until getting captured and eliminated from the board. One stone has 4 liberties if placed in an empty intersection (4 open points - 4 possibilities to add new stones). Placing stones close together helps them support each other and avoid capture. Adjacent stones of the same color placed on board lines (not diagonals) form a chain that shares its liberties. They may be connected together by placing a similar stone on adjacent intersection of two chains of the same color forming simple elements: square and circles. Groups of stones cannot subsequently be subdivided and must have two liberties to be "alive". Sometimes one or more stones of the opponent get to have no liberty (are surrounded by other players stones). All stones with no liberty are captured and eliminated from the board for the rest of the game. There are many ways for stones to be captured and removed from the board. It is not allowed to place a stone in such a way that one of your own chains is left without liberties (situation named "suicide") . Also, in a fight it is not possible to make a move that returns the game to a previous position and to recapture immediately the opponent stones in same position on the grid ( situation named "Ko"). There are also many styles of playing Game of GO. You can play "Atari GO" in which whoever makes the first capture wins the game (very appreciated by kids and beginners or Classical GO - the goal of the game is to surround territory (empty board locations). In the end of the game, when both players pass, territories are counted and the winner is decided. Captured stones are placed inside matching color territories in the counting phase, so each captured stone values one point of territory. 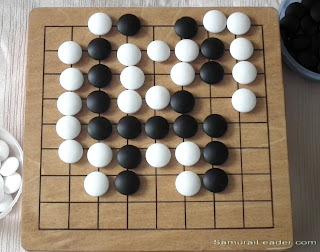 The Go board (named also Goban) is not square, typically measures 45-48 cm in length and 42-44 cm in width. The traditional Japanese Goban is made from protected species of trees as Kaya tree(Torreya nucifera) and California Torreya (Torreya californica). Less expensive woods often used nowadays to make table boards are: Hiba (Thujopsis dolabrata), Katsura (Cercidiphyllum japonicum), Kauri (Agathis), and Shin-Kaya (various varieties of spruce). Chinese boards are slightly larger, as a traditional Chinese GO stones are slightly larger to match. The traditional Japanese Go stones (named also Goishi) are double-convex, and made of clam-shell (white) and slate (black). The most prized stones were made of jade, often given to the reigning emperor as a gift. Visiting from the Friday blog hop. So nice to meet you. Hope you are enjoying your weekend. I am so glad that i found your blog! I am now following your blog and would love it if you could follow me back at http://mizzreviewlady-mommyreviews.blogspot.com/ Thanks so much! Japanese Sake, rice wine or beer?